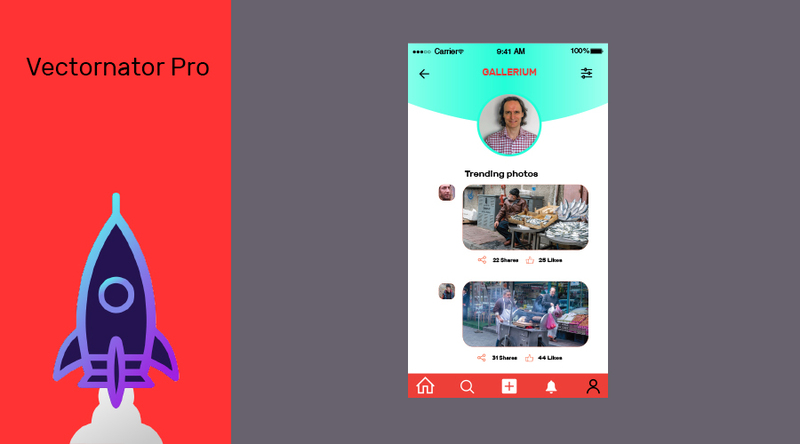 Vectornator is a graphic design app with revolutionary, context-based user interface combined with powerful features and high performance rendering makes this the perfect app for amateurs and professionals alike. Its new design philosophy is inspired by our users, built with amateurs and professionals in mind. Vectornator is the perfect place for new users to learn graphic design and grow their design skills. It offers a great environment for professionals to work for extensive hours on their next masterpiece. With its revolutionary design, the user interface is detached from the sides of the display and floats on top of the canvas. As a result, the canvas flows to the corners and sides of your device, creating an immersive experience and a noticeably larger working space. Visit the official Vectornator site for more information. 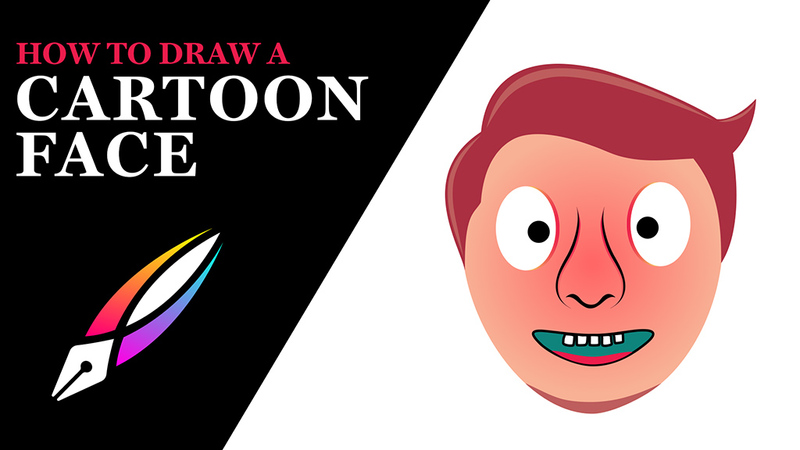 In this Vectornator tutorial, you will learn how to draw a cartoon character face step by step by tracing an original sketch idea using the Pen tool, the Pencil tool, creating shapes and variable paths and much more. 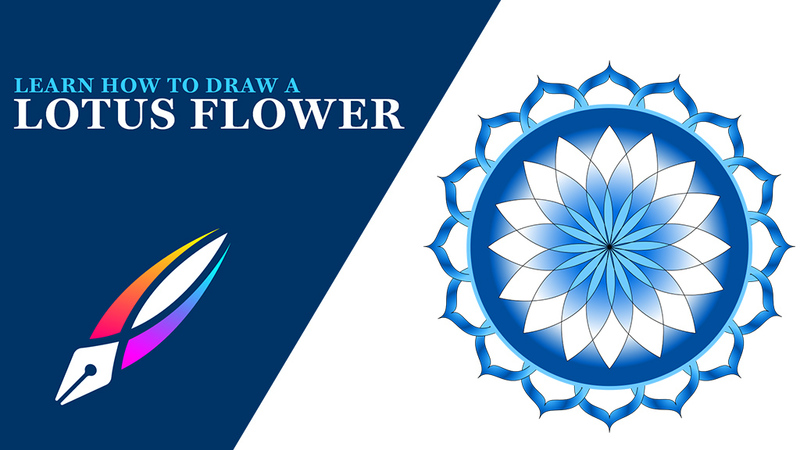 Learn how to draw a vector lotus flower in Vectornator. In this tutorial, I will teach you how to use Vectornator's different Modes in order to create multi-selections, duplicates, rotations, and scaling paths. 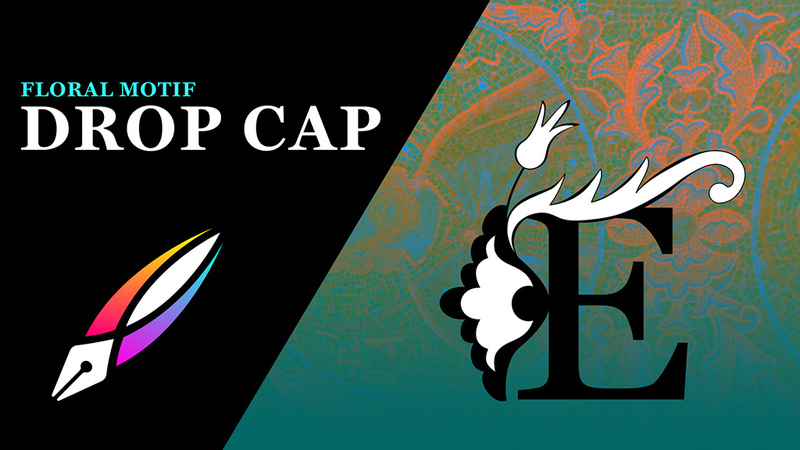 Inside Vectornator learn how to design a Drop Cap inspired by a Byzantine decorative floral design. We will follow a sketch, using circular shapes to lay down the ground work, use the pen tool for our curves, and create variable stroke widths. As a final step, we will export our inspired decorative drop cap from Vectornator to Adobe InDesign and plug it into a paragraph. 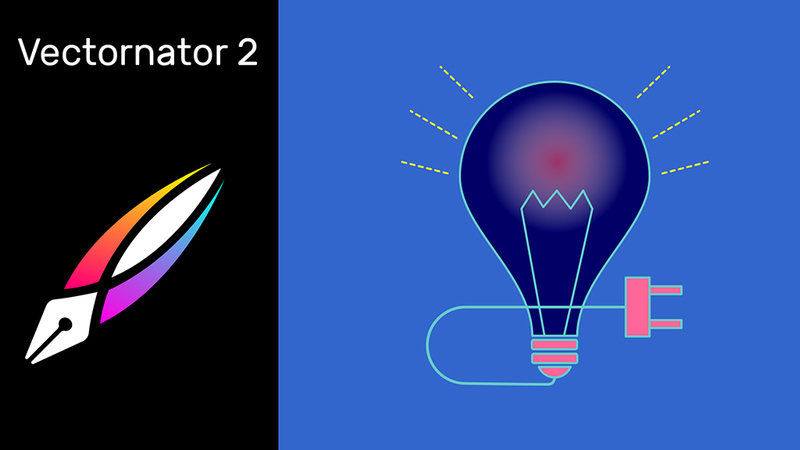 Learn how to draw vector art in Vectornator 2, the free vector graphic design software tool for iOS. The all new Vectornator 2 comes with a radical new panel-based interface, with the addition of contextual menus, a less clutter intuitive design workflow, and under the hood improvements. 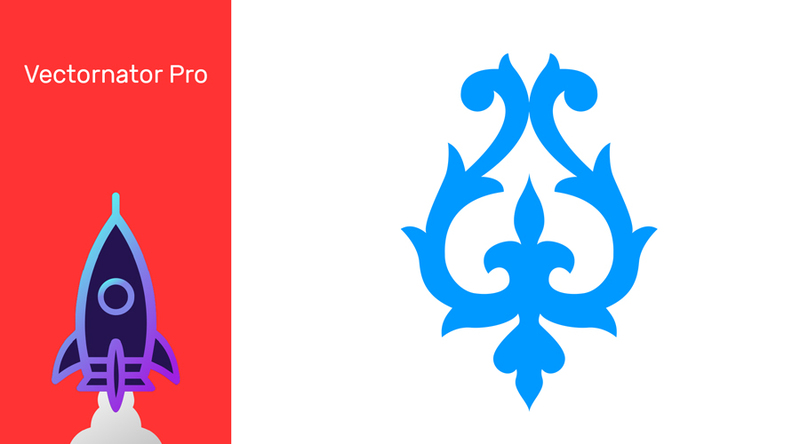 In this Vectornator tutorial I will introduce the Vectornator app, some of its tools and teach you how to draw an ornamental type of Graphic using the 12.9 inch iPad Pro. I will also show you how export that vector in different formats and test it out on a Desktop computer. 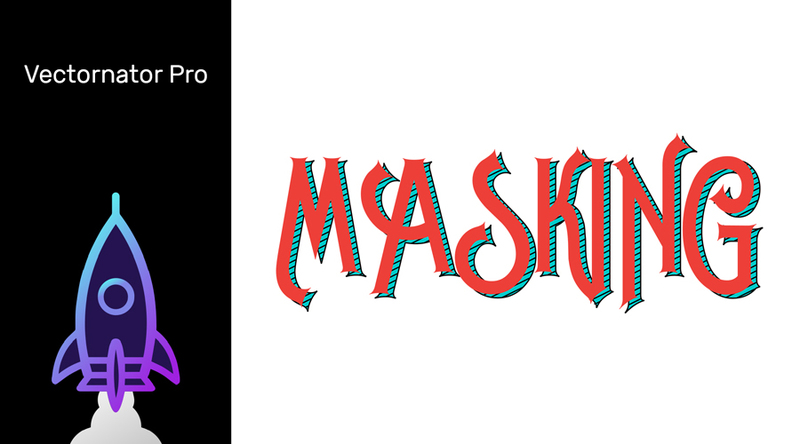 Vectornator makes masking such an easy process so in the tutorial I will teach you how to mask vector lines inside a Type object and create a 3D pseudo type effect. Vectornator Pro team has integrated Icons8, an online service providing thousands of line Icons for iOS, Windows, and Android. Basically what we get here is a free subscription to Icons 8, compliments of Vectornator Pro. Learn how to design a Mobile App UI in Vectornator app, using vector icons, masking photos, and adding shapes & text, in order to create great concepts on the go for clients or personal projects.